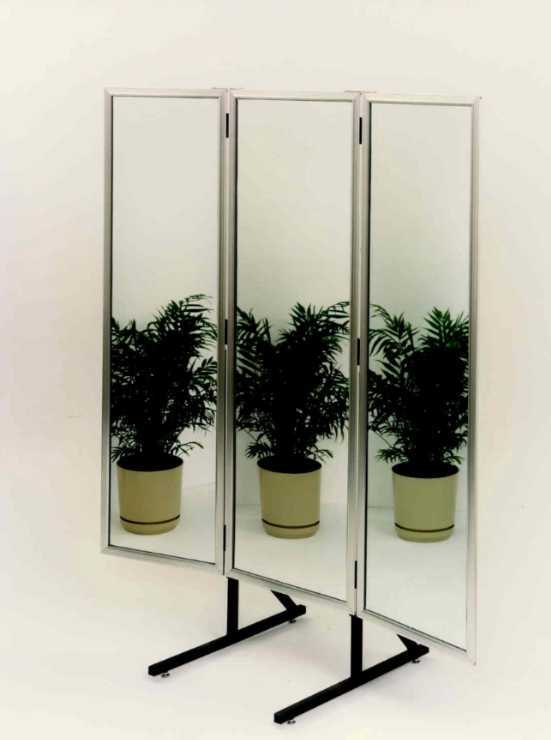 Alcove Mirrors are available with (free-standing) or without stands. The center mirror frame is 20" x 60" and the wing mirror frames are 18" x 60". The mirrors are full length and distortion free. The mirror wings are equipped with tension control to assure preferred placement.